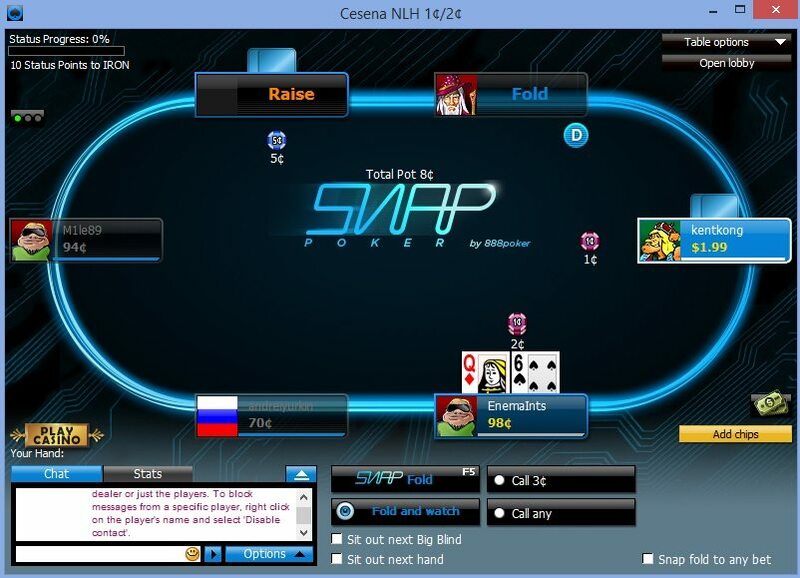 At 888 Poker players earn two types of points – Status Points and Reward Points. Status Points are earned at a fixed rate of 1 Point for every $2 generated in rake and are used only to determine a players VIP Status. Reward Points are earned based on a players VIP Status. The higher your VIP Status, the bigger the Reward Points multiplier. All players get to participate in their VIP program that offers 10 Status levels and a wide range of rewards, including cashback. 888 doesn’t offer any direct rakeback options, instead players can spend their Reward Points on cash bundles in the Shop. 888’s VIP Program offers 10 VIP levels that can be achieved at any time. A players VIP status is determined by the amount of Status Points he has accumulated during a certain period. 8 of the 10 VIP Statuses are recalculated on a monthly basis, so you will have to earn a certain number of points every month to maintain any of these statuses. Yearly statuses, on the other hand, require players to reach a certain number of point within a calendar year and once they are achieved, you get to keep the status for the next 12 months. Let take a look at the VIP statuses and the perks that come with them. The first 5 VIP statuses can be grouped together as they are very similar in terms of points needed to reach them and rewards offered. All players get Blue VIP Status upon registering. The next status is Iron, which requires 10 Status Point, then Chrome with 25 Status Points, Copper with 50 Points and Bronze with a 100 Status Points requirement. These statuses are all relatively easy to reach and all of them offer a 1.25:1 Reward Points to Status Points earning rate, which means players will get a 2.5% rakeback equivalent. Once you get through the first 5 VIP Statuses, the rewards start increasing significantly. Silver VIP Status requires 500 Status Points to achieve, which is 5 times the amount needed to achieve Bronze Status. The Gold VIP Status makes up for it with a 1,500 Status Points and the highest monthly VIP Status is Platinum, which requires players to earn 4,500 Status Points every month to reach and maintain it. The most valuable VIP Statuses usually require the most effort to reach, however, in this case, one of these statuses can be reached fairly easily. The first yearly status is known simply as VIP Status and requires 60,000 Status Points annually. This may seem like a lot, but if you are thinking of aiming for Platinum Status and then maintaining it, then you should know that doing that you will earn 54,000 Status Points in a single year. This means that if you put in an extra efforts and get 6,000 more Status Points, you will get the second highest VIP Status and rewards equal to 20% rakeback equivalent. 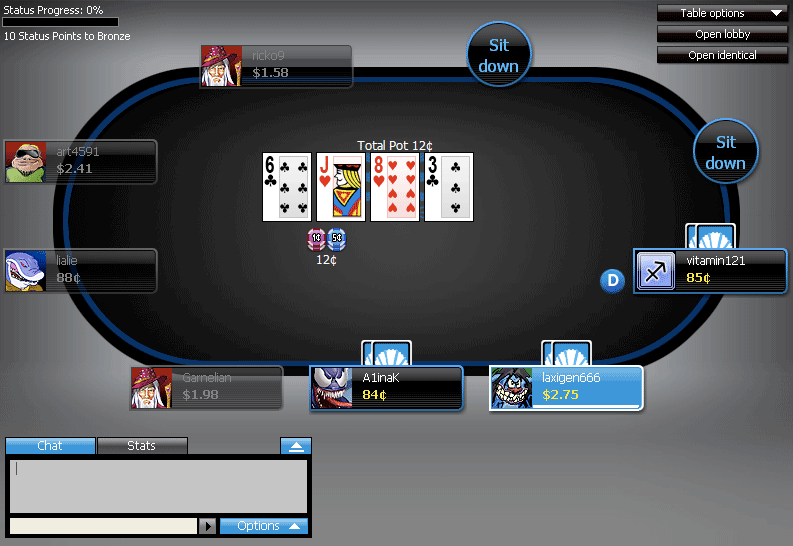 Players earn two types of point – Status Points and Reward Points. Status Points are always earned at a consistent rate of 1 Point for every $2 in rake, which is true for all games at 888. For every Status Point players earn at 888 Poker, they also get Reward Points. The number of Reward Points depends on a players VIP Status. For example, Blue Status players earn 1.25 Reward Points for every Status Point earned, while VIP Status players earn 10 Reward Points. Reaching Bronze Status will require $200 in rake, which is equal to playing 100 $20 tournaments. Reaching this Status will get you only $5 back in rewards value. By comparison, Platinum Status requires players to earn 4,500 Status Points. This amounts to $9,000 in rake with the rewards reaching $1,350 in value. The highest VIP Diamond Status requires players to generate a ridiculously high amount of rake to reach – $600,000. Of course, for those determined enough to achieve this feat, the rewards are also pretty great – $162,000 worth of Reward Points. You can keep an eye on your Reward Points by going to the ‘Rewards Points’ Menu through the lobby. Also note that Reward Points can expire. When a player is inactive for 3 months or more, all Reward Points are automatically removed from his account. 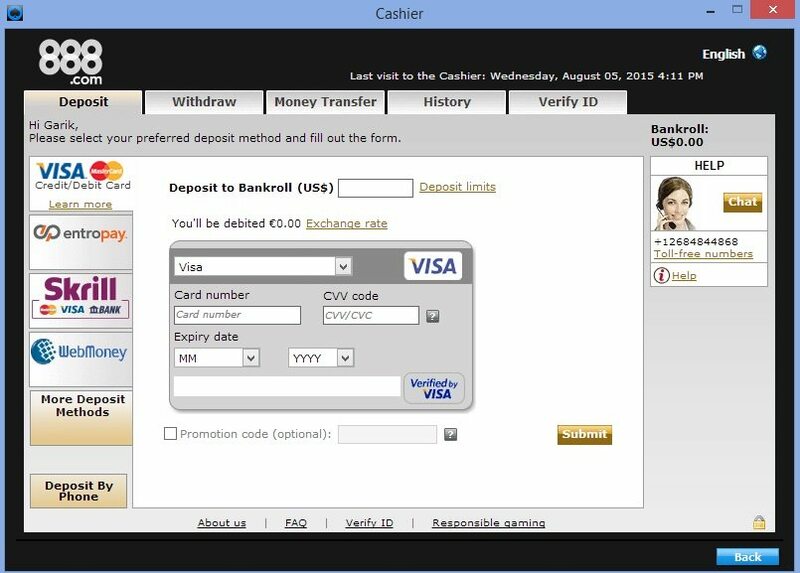 Apart from the obvious way of spending your Reward Points by converting them into cash, other options of spending your Points are also available. 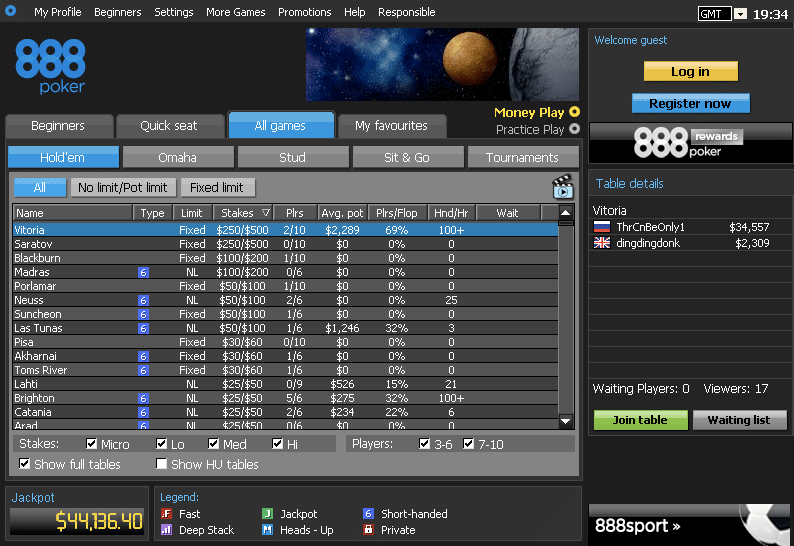 If you are planning to play lots of tournaments at 888 and have a bunch of Reward Points to spare, check out 888’s selection of tournament tickets available for sale at the Shop. And if you’d like to spend your points on gifts, electronics or anything else, browse through the shops extensive catalog and you’ll surely find something that you’ll like. 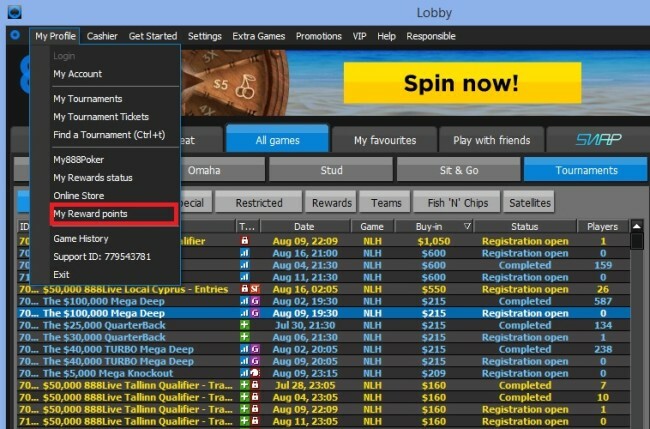 A nice addition to 888’s VIP Program is the crossover between Poker, Casino Games and Sports Betting. This means that wagers made in the Casino or Sportsbook also earn you Status and Reward Points. This can come in handy in a lot of situations where you need to earn some points to earn or maintain a VIP Status. 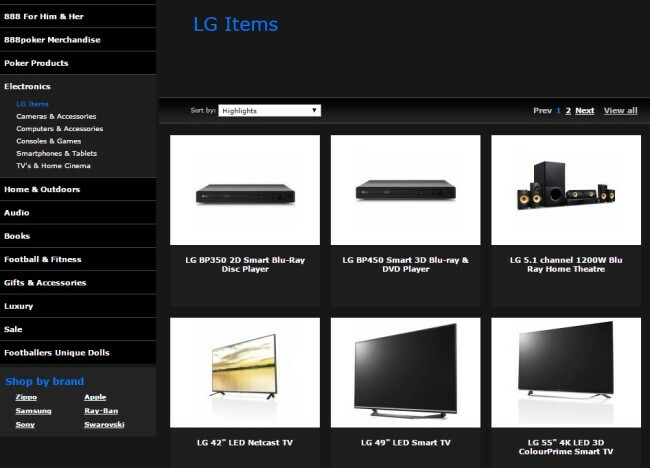 Another great perk is the abundance of items at 888’s online shop. In recent years many poker rooms have cut their reward shop offerings drastically, but 888 remains a place where you can buy everything from branded gear to luxury holiday trips for your Reward Points. Rewards are always a great part of playing poker, but if you are a new player you should also take advantage of the First Deposit Bonus. 888 offers a standard First Deposit Bonus of 100% up to $400 and thanks to FTR you can have that boosted to 100% up to $600 by downloading 888 Poker here. Don’t forget that all new players also receive $88 Free! In fact, all you have to do to get it is validate your e-mail address after registering your account. You will get $8 in cash and tournament tickets to play with and another $80 as a Bonus, so make sure to take advantage of this great offer! Silver VIP Status offers a 2:1 Reward Points earning rate and potential rewards up to 4% in rakeback equivalent. While this is a bit disappointing, the Gold VIP Status makes up for it with a 4.5:1 Reward Points earning rate and a 9% rakeback equivalent. The highest monthly VIP Status on offer is Platinum. Players gunning for it must earn 4,500 Status Points every month to reach and maintain this status. In return, the rewards offered to Platinum VIP members reach 15% in rakback equivalent. From VIP to VIP Diamond, the most coveted VIP Status, there is quite a steep drop off in terms of Status Points needed. VIP Diamond requires players to earn 300,000 Status points annually, which can be quite the challenge for all but the most dedicated players. If you are one of those players, then you can except to get 13.5 Reward Points for every Status Point earned, which equates to 27% in rakeback equivalent. 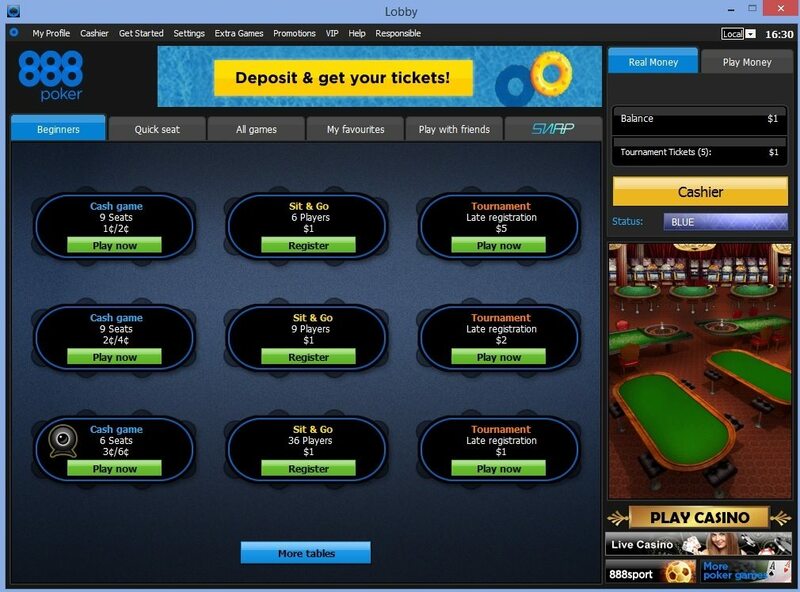 I am having a problem downloading the 888poker app and have just been playing through the site on the Safari site. If someone could send me a picture of the app that would probably be enough help, thank you, Len.